Funding will be open to club community organisations in the Premier League during the 2015/16 season and those promoted to the Premier League for the 2016/17 season. It will also be open to any newly promoted club community organisations in 2017/18 and 2018/19. The programme will fund projects on an annual basis and will close to new applications in July 2018. 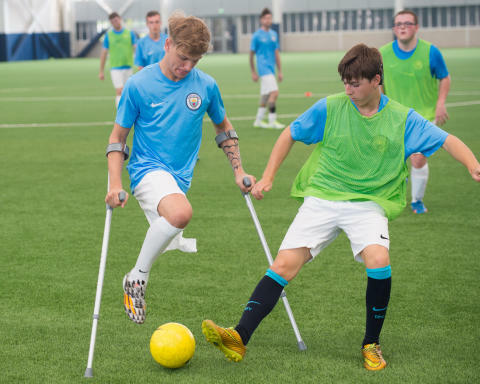 Through its Club Community Organisations, the Premier League has shown a long-term commitment to delivering disability sport programmes. The PLPFA Community Fund has provided significant investment in this area to enable clubs to deliver wide range of disability sport focused programmes.Clubs are regularly accessing local funding to deliver disability sport provision as well as health, education and employment programmes for disabled people. BT is a long-term supporter of sport-for-change projects and aims to generate more than £1 billion for good causes by 2020. Through The Supporters Club, BT Sport’s charitable initiative, more than £6m has been raised and thousands of young lives enhanced in the UK and overseas. BT has also been a long-term supporter of good causes and disability organisations such as Children In Need, Comic Relief, Sport Relief, the British Paralympic Association and the GB Wheelchair Rugby team. Furthermore, BT is a supporter of the ‘100% Sport’ initiative – a collaboration with the likes of Sir Ben Ainslie calling on sports fans to take action for a more sustainable world.